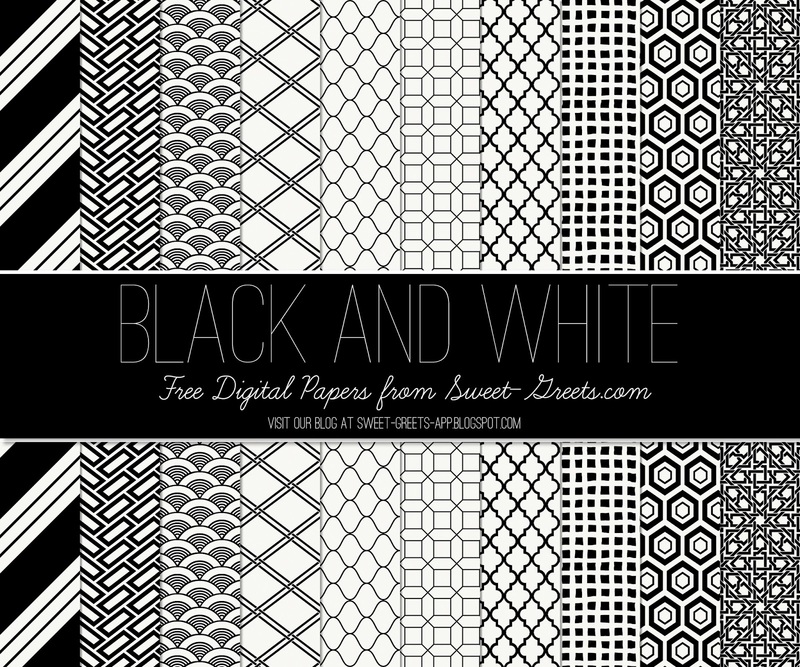 Here's a set of 12x12 inch digital papers featuring various geometric and Asian patterns in basic black and white. It's one of my all-time favorites. The colors and patterns of these papers are so simple and uncomplicated, yet also sophisticated and versatile. You're bound to find lots of uses for them!